Born on 14 November 1893 at Montella di Avellino, Italy Leonarda Cianciulli had an unhappy childhood. In 1914 she married Raffaele Pansardi, a clerk in the local register office. They made their marital home at Lariano in Alta Irpinia but in 1930 an earthquake destroyed it. They moved to Correggio, in the province of Reggio Emilia. 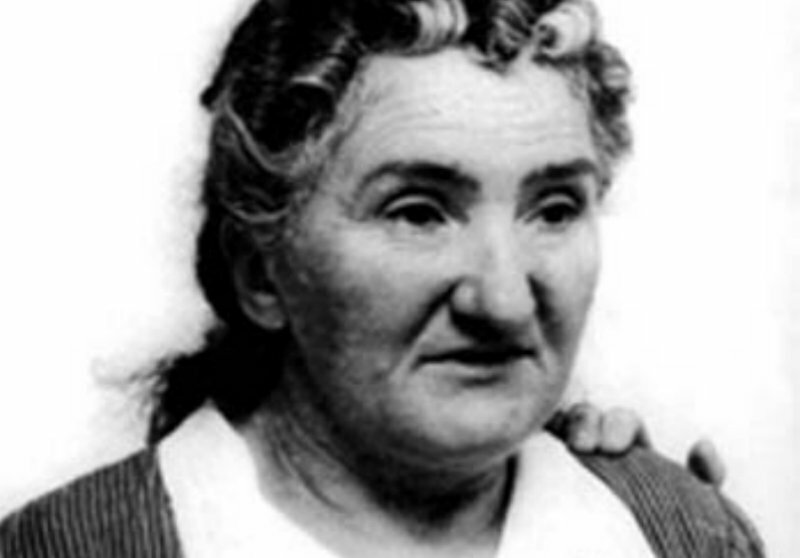 Cianciulli fell pregnant 17 times, suffered three miscarriages and ten of her children died at an early age. The other four Cianciulli protected with the ferocity of a lioness. In 1939, as her eldest son Giuseppe was about to be conscripted, Cianciulli claimed to have been visited by the Virgin Mary who told her to sacrifice humans for her sons. Her first victim was Faustina Setti who was told that a husband had been found for her in Pola. Swearing her to secrecy, Cianciulli persuaded Signorina Setti to write some letters and postcards to her friends and relatives to be posted when she reached Pola. In them, she wrote of her good fortune. She was arrested after the sister-in law of her last victim went to the police. Cianciulli readily confessed and was sentenced to 30 years in prison and three years in a criminal asylum. She died of cerebral apoplexy in a Pozzuoli asylum on 15 October 1970.